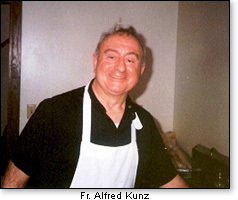 Eighteen years ago on March 4, 1998, Father Alfred Kunz, a traditional Catholic priest of the Diocese of Madison, Wis., was found brutally murdered. The case remains unsolved. Click here to watch a 2015 WMTV (NBC) news segment – which includes a brief interview with yours truly – on this case. While I'm not privy to the forensic evidence collected by investigators, I do know there are two men considered by law enforcement officials to be persons of interest/suspects in the murder. The men, who likely have no connection to each other, were known to both Father Kunz and his late friend, Father Charles Fiore, who died of natural causes in 2003. One of the men was, and perhaps still is, considered the prime suspect. Below is a "reprint" of my 2014 column on this subject. On March 4, 1998, the body of Father Alfred Kunz, a parish priest and canon lawyer – and discreet whistleblower of corrupt clergy – from the Diocese of Madison, Wis., was found on the floor of his parish (St. Michael's in Dane, Wis.) school's hallway in a pool of blood with his throat slit. The murder remains unsolved to this day. It's essentially a cold case now, even if the police are reluctant to say so. I've been following and writing about the case for the past several years, and, to my knowledge, there haven't been any significant developments in the investigation as of late. Still, I did recently find out a bit of interesting information that I hadn't heard before. For a past column, I had asked two individuals who were friends and supporters of Father Kunz – Catholic attorney Peter Kelly and Catholic businessman Chuck Weigel – to contribute their fond memories of the priest. Those reflections are worth reprinting. There are a number of points that I recall about Father Kunz. They all deal with his pastoral style which people might characterize as true 'servant leadership.' It was that – and so much more. Father did not have a great deal of financial resources upon which to draw to support his school and his teaching staff. Still, he tried to do what he could to help make life a little easier for his underpaid teachers. One 'fringe benefit' that his teachers received from their boss was free auto repair. As a Wisconsin farm boy, he was as good with a wrench as he was with his traditional Catholic theology. Father was fluent in both Latin and in the language of engine maintenance. He even had a set of coveralls which he would wear that exposed only his Roman collar, lest no one would recognize that the greasy fellow who just slid out from under the car in the parking lot of St. Michael's was the pastor and chief mechanic of the parish. Father was also literally the 'chief cook and bottle washer' of the place where he cared for the people. Back in the old days, it was common for Catholic parishes to have Friday night fish fries to serve as a fundraiser for the parish, a social gathering for the parishioners and a relatively convenient source of the family meatless dinner. As a very traditional Catholic parish, the people of St. Michael's were encouraged to keep the habit of meatless Fridays all the year round and not just on Fridays in Lent when the bishops reduced the penitential practice down to that. On fish fry nights, Father would put on another garment of service. This would be his white cooking apron which again would reveal his collar, often left open when the heat of the kitchen would require it. It would be Father himself who perfected the art of deep frying the fish and french fries. He would do the cooking himself because he wanted his people to enjoy the best fish available in the area. I had been to one of his fish fries and the school cafeteria was packed with people, Catholic and non-Catholic alike. I would often have to call Father to arrange radio station recording time into his busy schedule. I soon learned that I would do well to call him late at night after he finished his holy hour before the Blessed Sacrament. That would mean I would have to call him between 11:00 p.m. and midnight. One night when I called late Father answered but he did not sound like himself. He could barely speak. I asked him if he was alright. He said he was; he just was out mowing the cemetery behind the church and his 'hay fever' or allergies were acting up. He could barely breathe, much less talk. Father was always giving of himself and he gave of everything he had. He gave up his rectory and made it available for people who needed a place to stay temporarily. Father would bunk in a small room off the main hallway of his school – just a few feet from where his body was found in a pool of his own blood after his life was so brutally taken from him. I try not to think of how his life ended any more. Rather, I try to remember how he lived. That is because, as a Catholic, I realize how short our lives are. We all will come to an end...sooner or later. What really matters is what we do, in keeping with God's plan, while we are here on this planet. Father Kunz knew that. He knew why he was here on earth and he made an eternal difference. In closing, my favorite story I heard from Father himself. It was the story about his own 'personal saint' to whom Father would pray for special intercession with Our Lord. Back when Father was an assistant pastor at St. Victor's parish here in Monroe, Wis., he would make regular visits to patients in the local hospital. There was an African-American man on a rather long-term hospital stay there. He was in a terminal condition. The man was not Catholic. In fact, he was never baptized into any denomination. That meant to Father that he had a soul to save. Father would stop into the man's room on a regular basis and, in a friendly manner, would ask the man if he felt it was a good day for a baptism. Usually the man would smile and politely respond in the negative. But one day, the man knew that his health was failing fast. He must have liked that friendly but persistent priest who took a sincere interest in his soul. So when, predictably, Father stepped into the room to ask once more if he could baptize the man, the patient weakly agreed. Father happily complied and completed the baptism. In that man's condition, the baptism not only wiped clean original sin from his soul, but also removed every other sin the man ever committed together with the temporal punishment due for those sins. As a consequence, then, there before Father was a man with a pure, clean soul due solely to Father's persistence as a pastor. Well done to you too, Father Alfred Kunz. As a 'cradle Catholic,' I have spent the past 20 years learning what a traditional Catholic is and what had been discarded by Vatican II. It was during the years 1993-1998, attending Mass by Father Kunz, when I learned that the dogma of the Faith does not change, but man can change – and so had Father. When growing up I thought all priests were probably born fully circumcised but with their Roman collars intact. After knowing Father for a year, I was shocked to learn from local parishioners that back in the 1980s, he would celebrate the Novus Ordo Mass with plaid vestments and ukuleles playing in the sanctuary. Words failed me. The locals explained how Father gradually realized the Mass had become modernism-on-the-march and was detracting from sacredness. 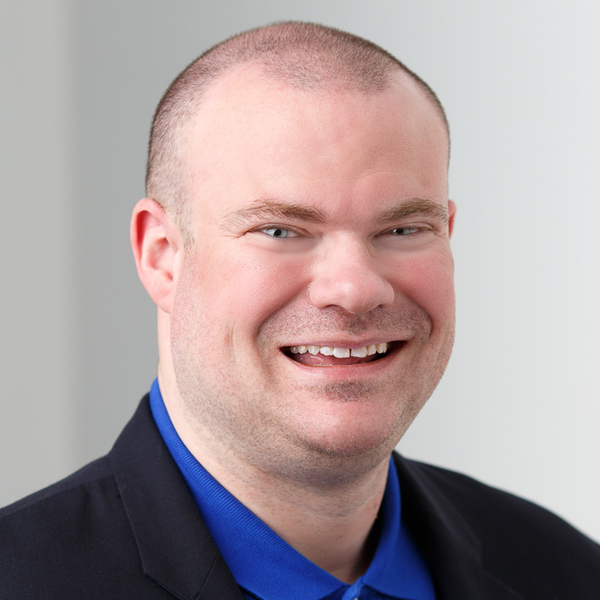 Quite simply, he had the raw courage to look critically at what he was doing and look at the history and traditions of the Church – and realized he was on the wrong track. I remember in mid-1993, for the Sunday 10:00 a.m. Mass, about half the time Father would have the Novus Ordo (always using the Roman Canon) and half the time the Traditional Mass. By December, the 10:00 a.m. Mass became only the Traditional Mass. He had been using the church bulletin over the summer and fall to publish a line-by-line comparison/commentary of the New Mass versus the Old Mass so everyone could read the deficiencies for themselves. It was a very intelligent thing to do. Father was often referred to as a 'throw back' priest trying to turn the clock back. He was portrayed as a 'stuck-in-the-past,' strict, dogmatically-rigid person who never changed. The reality is quite the opposite; he had already 'lived' on both sides and realized the modern innovations were both untenable and counterproductive to the Faith. Father once told a very devout parishioner that when he processed up the aisle to offer Holy Mass, he would keep his head lowered and his eyes downcast. He explained that years ago when he had built this church, he put in some very modern-looking stained glass windows...and now he just could not bear to look at them. I moved my family to Dane in 1995 and was soon shocked that about half of the Catholics living in and around St. Michael's Parish went to Mass elsewhere! I had just spent two years driving an hour each way to attend Mass by such a good and learned priest. Yet half the local parishioners drove five to eight miles to the surrounding churches. So I had to ask, why? In listening to them I found the reason was always personal – they didn't like Father, didn't like his sermons, or didn't agree with the way he did things. There was never a serious comment about the Mass, doctrine, administration of sacraments, or any substantive criticism ... just personal. It was a very odd situation. Father carried many crosses, some of them perhaps self-inflicted, some inflicted by fellow priests. My wife and I wanted to have a Traditional Nuptial High Mass in 1993, so he obtained permission from the bishop for our Mass. We then sent a note to our current parishes to post our bans of marriage. A few weeks later I met Father in the church sacristy and he was extremely upset. He said, 'Why did you do that? Why did you notify your parish priest about getting married here? You have no idea how difficult you have made my life! You don't know the problems you have created!' He explained that there had been a priest deanery meeting and Father had gotten publicly chewed out by many of his fellow priests for daring to have a 'Latin Mass.' That was my first exposure to just how much hostility and hatred there could be by priests toward one of their senior priests, one who had for years been their judicial vicar. We had also attended the diocesan marriage prep course and were shocked by the extremely heterodox section on sexuality in the diocesan-approved marriage-prep booklet. I asked Father in a very blunt manner, how could the diocese allow this to be published for years and give it out to all engaged couples? He paused, smiled and said, 'It happens because half the priests in the diocese do not believe in Humanae Vitae.' Then he walked away. Now for that interesting bit of information pertaining to the murder investigation. A private investigator informed me that the prime suspect – a man who was known to Father Kunz – apparently was having a more-than-platonic relationship with another man who was also known to Father Kunz. The second man "reportedly had some sexually-suggestive (but clothed) photos" of the suspect in his bedroom, according to the investigator. "The simplest explanation is usually the best one," said the investigator. "Maybe Father Kunz caught the two together, or saw a photo that was compromising. Maybe [the second man] confessed to him. Probably no one will ever know. "But all of the circumstances, even without the possible motive, point primarily at [the suspect]. Unfortunately, 'primarily' does not translate into 'beyond reasonable doubt.' I think [the second man] encouraged conspiracy theories to divert attention away from himself." Do you think the police botched the investigation early on, I asked the investigator. "I don't think the investigation was screwed up by the investigators, but by [the second man] being less than forthcoming with information. The police were on to [the suspect] from the beginning. I believe that had [the second man] told all of what he knew, [the suspect] might be behind bars." As for the suspect's persona, the investigator described him as "remorseless ... a liar and, I'm told, pretty much of a narcissist. He also was manipulative and parasitic. "I think the only way the case is going to be solved is for the guy to confess."